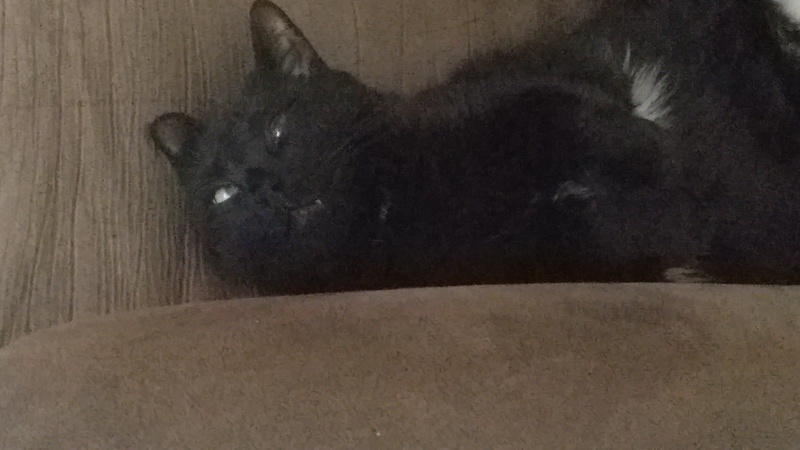 Please Give a DETAIL­ED Description of Yo­ur Missing Pet: Mostly black cat with some white on his underbelly. He has green/yellow eyes dep­ending on the light. He’s heavy, but not fat, just looks well fed. Very friendly. Please List ANY Sigh­tings or Possible Si­ghtings You’ve Recei­ved: He enjoys going for walks when I take my dog out. He followed me along the North Creek Trail behind the Reserve apartmen­ts. When we got back to our apartment, he wanted to stay out. Haven’t seen him since.